One of many fine pictures taken at Larkfield Manor in East Northport, NY. This venue is located just a couple of minutes from my Larkfield Road wedding photography studio and I have photographed more weddings at Larkfield Manor than I could even remember. My studio has been located on Larkfield Road since 1984 and I am probably the most experienced photographer you could choose to take pictures at your Larkfield Manor wedding. 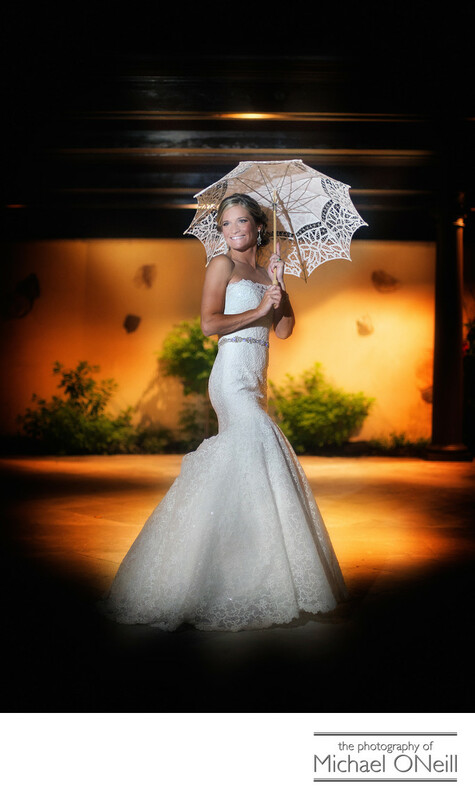 This picture was taken at night in the main courtyard, in front of the magnificent gazebo which is often used to host outdoor wedding ceremonies. Photo ops abound at Larkfield Manor from the breathtaking entrance, to the dramatic elegant lobby with it’s grand staircase, to the perfectly manicured gardens which includes a bridge over a tranquil reflecting pool. As much of a photographer’s paradise this place is, it offers an incredible experience for your guests as well, serving up some of the finest food anywhere. Believe me, I know. I go to a lot of weddings! Spend a little time poking around my web site and you’ll see lots of different pics taken at many different weddings that I’ve had the privilege of photographing at Larkfield Manor. If you’re planning a wedding at this incredible venue be sure to stop at my studio and gallery, located just three minutes north. I would love to be considered for the most important role of being your Larkfield Manor wedding photographer.